I haven't done a scene or theme analysis in a while, so I thought I would randomly throw a curve ball out there today. 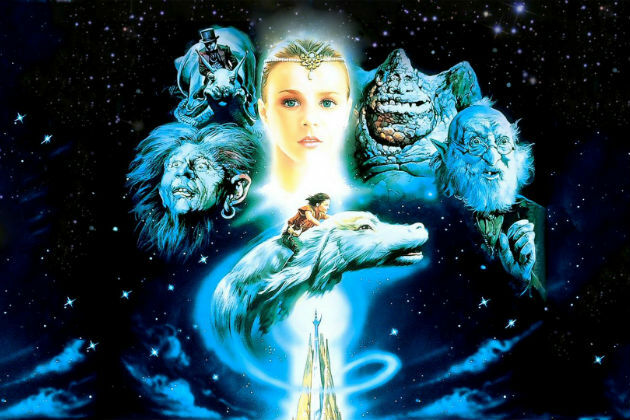 As a young child my favorite movie was The Neverending Story. I even used to put necklaces over my head and wear white sheets to dress up like the childlike Empress. I have a hilarious memory of being in daycare (age 6) and bringing the film to share with everyone and watch. (Even then, I was passionate about films!) I presented my case, but the caretaker ignored me and said we were going to watch Chitty Chitty Bang Bang instead. Now don't get me wrong, I liked that film too growing up, but I was so passionate about sharing my favorite movie that I ran off into a corner and sulked until my father came to pick me up after work. 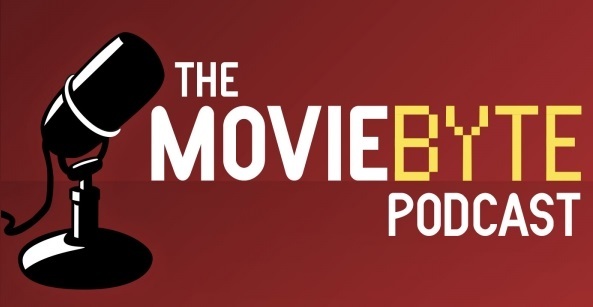 While this is a film that definitely reeks of it's 1980s origin, with some points of bad acting (I personally could never stand Bastian or the Empress), some cheesy moments and terrible green-screen flying scenes, I still think it's a good film because it's got it where it counts... the heart. The themes and morals presented struck my heart even as such a young girl and I never forgot them. I remember the huge pang I felt when Artax the horse dies. Not just because he dies, which is sad enough, but the manner in which he dies sinking into the Swamps of Sadness. The idea of losing hope and dying because you've given up is something that has always been unfathomable to a naturally hopeful person like me. 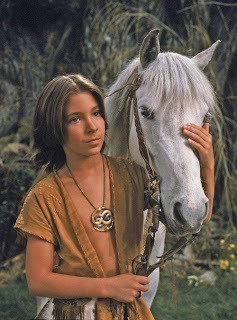 Atreyu's character is bravery and hope personified, so watching him lose someone he loves to something so opposite his character- despair and sadness- was extra painful for me as a viewer. I think it was the first time a movie moved me to tears. 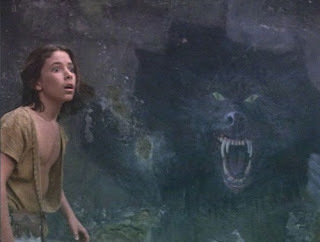 Atreyu's character is easily the best part of the movie. I didn't have a crush on him or anything, I simply admired him. He willingly laid aside his own life to journey for the good of all. He didn't know what that would entail or how high the cost would be, and he chose to lay down his weapons, leave everything behind, and go. Atreyu is such a strong symbol of hope... and often seems to be the only person who makes any logical sense in their whole silly world. Even after he lost his horse, and that stupid turtle Morla told him he shouldn't even bother trying to help Fantasia, he still trudged through the Swamps of Sadness and, even as he sank, he kept reaching upward, moving forward when all seemed hopeless. THAT is what I call a hero, pressing on toward the goal. What I'd like to discuss in this post specifically though is the element of fear and how powerfully this film communicates that. My favorite scene, even though it terrifying as all hell, is the ending scene where Atreyu confronts Gmork, the creature who has been hunting him since the start of his quest. 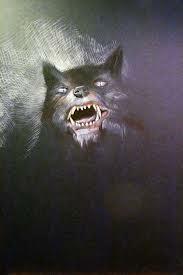 Gmork is a huge black wolf with some serious fangs and a desire to see "The Nothing" consume their world. He is the entity of darkness, despair, and defeat. This scene is established with the element and atmosphere of fear to perfection. You already feel tension having known that Atreyu was being followed, but by this point you kind of forget because so many other events have taken place. The final painting. I'd make that face too, kid! Then, a grumble and a sharp blunt of abrasive music almost channeling Hitchcock's Psycho. 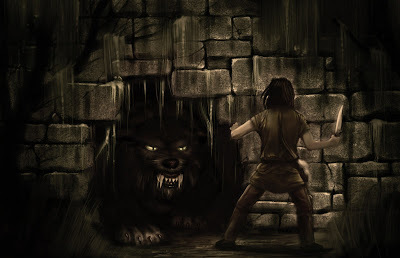 Atreyu turns to find Gmork sitting, waiting for him in a cave. It gives me chills every time. When you build up an air of creepy uncertainty through subtle imagery, its far more horrifying to meet the end result. Now as for me, I would have ran away screaming probably have gotten eaten in the process. But Atreyu sits down, as if he knew eventually this would happen, and the two begin a very intense dialogue. Gmork's voice, the manners in which he moves his mouth, and those glowing eyes scared me to death. He is definitely not a CGI creation but an animatronic, and that makes him ten times scarier in my opinion. I even read some funny comments on YouTube from men in their 30s saying Gmork still scares the crap out of them. Oftentimes a childhood fear carries strongest into adulthood and honestly, as a filmmaker, you want to inspire such unforgettable emotions. Atreyu faces Gmork, a fanart. Even though I was afraid, I remember listening intently to the conversation. It completely enveloped me. I loved the themes and ideas expressed throughout, and also the fear of knowing that eventually they would have to stop talking and one would have to kill the other. Though faced with an obviously powerful adversary, Atreyu simply warns him, "I will not die easily, I am a warrior." In some ways Atreyu, a preteen with shiny, long hair, is more of a badass than half the grown men we see in contemporary cinema. Gmork teases him about being a "brave warrior" and challenges him to fight The Nothing. Atreyu says he can't because he can't reach the boundaries of their world, as he's been trying to his whole quest. Gmork lets him know, Fantasia has no boundaries. This truth shakes Atreyu... but he continues to listen. Gmork reveals, "Fantasia is the realm of human fantasy. Every part, every creature of it, is a piece of the dreams and hopes of mankind, therefore, it has no boundaries." Atreyu: "Why is Fantasia dying then?" Gmork: "Because people have begun to lose their hopes, and forget their dreams, so The Nothing grows stronger." Atreyu: "What IS The Nothing?" Gmork: "It's the emptiness that's left. It is like a despair destroying this world, and I have been trying to help it." "BUT WHY?" asks Atreyu. Knowing that Gmork is also a product of Fantasia and must be bound to it's fate. Gmork: "Because people who have no hopes are easy to control, and whoever has the control, has the power." I love what happens next, because it isn't what you'd expect. Atreyu looks at Gmork with a face implying he doesn't buy Gmork's words at all. He asks, "Who are you really?" Gmork: "I am the servant of the power behind The Nothing. I was sent to kill the only one, who could have stopped The Nothing. I lost him in the Swamps of Sadness. His name was Atreyu!" During this conversation, The Nothing is breaking down the world around them. Atreyu falls backward and grabs a sharp rock. Atreyu: "If we're about to die anyway, then I'd rather die fighting! Come for me, Gmork! I AM ATREYU!" And that's how it's done. 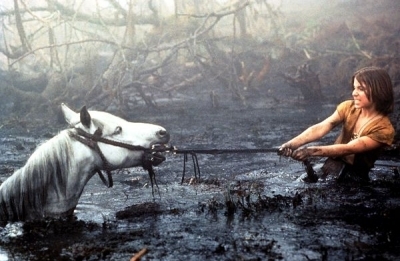 I really wish they could have had an epic battle, it feels like Atreyu kills him too easily. However, I do know that an epic battle with an animatronic in those days would have looked awful, so I am really glad they didn't. The idea that mankind is losing their hopes and dreams is something that I've noticed since those days as a little girl sitting wide-eyed in front of my VCR. 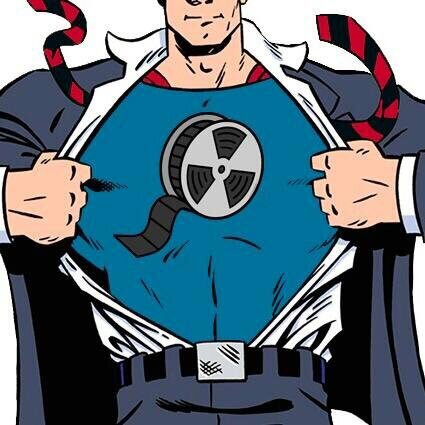 I felt a stirring in my soul to do something about it, and I realized that by promoting hopes, dreams, truth, love and grace in my films and writing was my way of battling "The Nothing" and evading our own Gmork, the enemy, who daily prowls around seeking those to devour. I saw someone on YouTube say that The Neverending Story is "a delicious metaphor thinly disguised as a kid's movie." I completely agree. It's not an amazing movie by technical standards, but if you watch the film, especially as a child, simply to get the golden nuggets of wisdom and provocative thoughts, you will enjoy it far more. Since the whole film is about reading books and using your imagination, pick up the original book by German author Michael Ende while you're at it. German's definitely know their stuff when it comes to fairy tales.